ROC the Day! Support preservation projects! >>Click here to become a ROCstar and help support our efforts to save historic places through the Preservation Grant Fund. 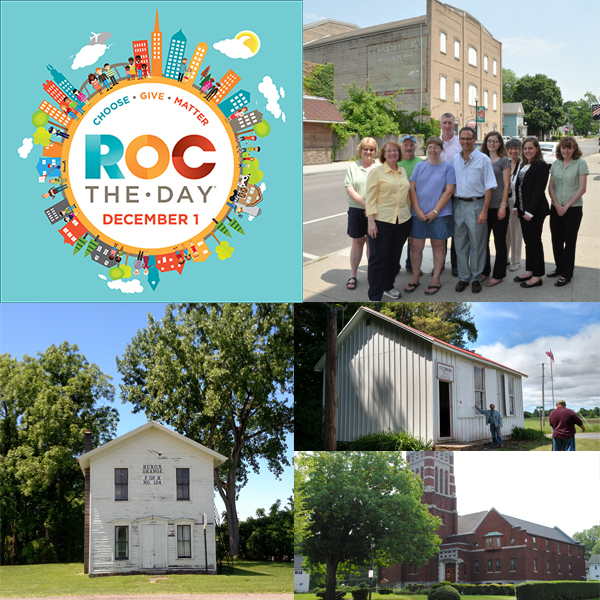 On Tuesday, December 1st, our community will come together to ROC the Day, and we at The Landmark Society hope to make it a huge success. ROC the Day is a 24-hour giving opportunity to support all eligible not-for-profits in the nine-county Greater Rochester area. Community members are encouraged to visit ROCtheDay.org, a secure online giving platform, to contribute to any participating not-for-profit organization. All money given during ROC the Day stays local. Donors have the ability make an impact by giving to one or multiple organizations to support their personal philanthropic passions. Donors and not-for-profits can share their investment with friends, family, co-workers and social networks to increase awareness for this community-wide effort. Once again, we’re directing all funds raised during ROC the Day to our Preservation Grant Fund program. Begun in 2012, this crucial program provides grants to municipalities, not-for-profits, community organizations, and potential developers to help get rehab projects off the ground. In a very real way, it helps save historic places across our region. 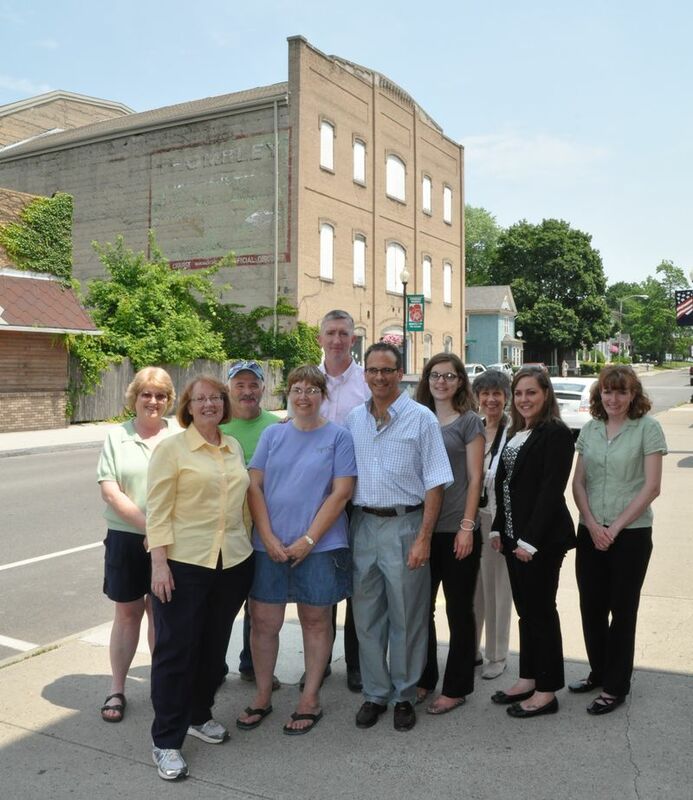 Local preservationists and Landmark Society staff in front of the Sampson Theater, a 2013 Five to Revive property. One of our 2013 Five to Revive properties, the Sampson Theatre is owned by the Pennsylvania Yankee Theatre. Though the building is currently mostly a shell of its former self, PYTCo plans to rehab it into a fully functional theater space. A $2600 grant from The Landmark Society helped them complete their Master Plan, which will guide fundraising and planning efforts. 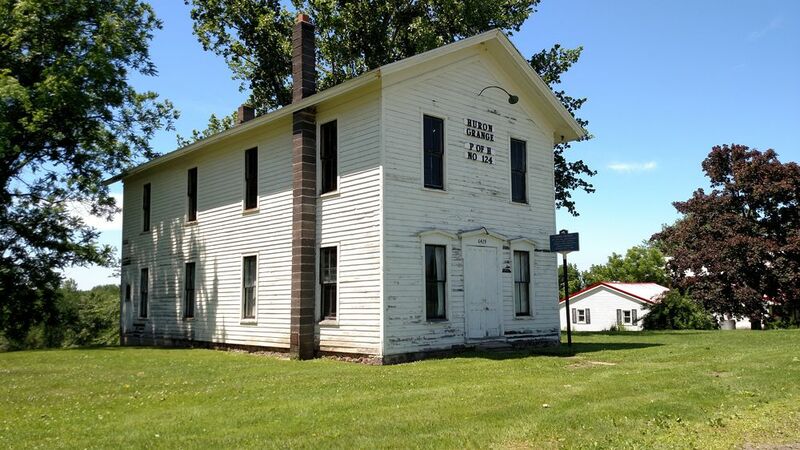 Included in our 2015 Five to Revive, the former Huron Grange Hall has been largely unused and vacant for years. Its interior and exterior, however, remain in remarkably original condition, with loads of beadboard, original lighting fixtures, original windows, etc. 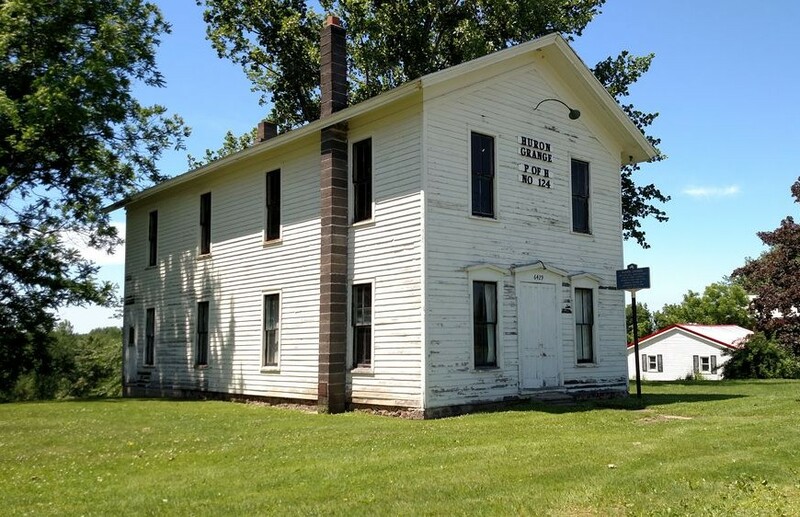 This special historic building calls for maintenance and repair and plans for future use that can help generate revenue for repairs and maintenance. 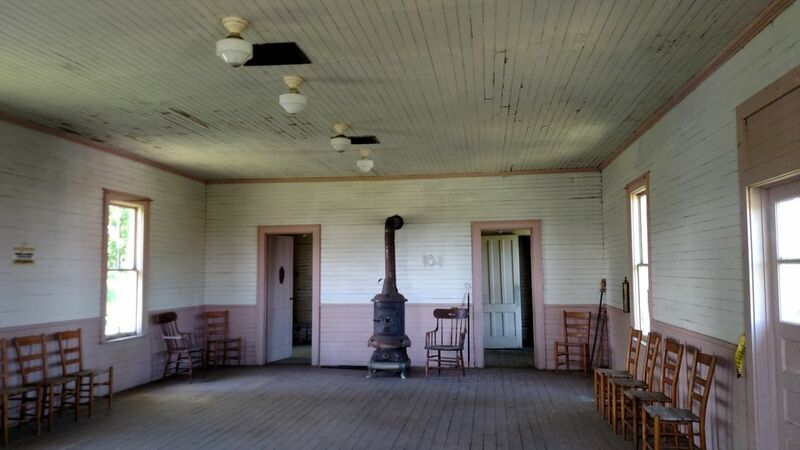 An award of $3,000 from our most recent round of funding will help the Town complete a condition report to plan for sensitive repairs and updating. Interior meeting space in the Huron Grange. 54.5 Madison St., before rehab. Simply put, without The Landmark Society’s intervention and funding this little cottage in the Susan B. Anthony Neighborhood would not have been saved. Our grant program’s very first award went to the City of Rochester to fund architectural plans for the rehabilitation of this building. Although the Preservation Grant Fund program is relatively small (our maximum award is $3500), it has a huge impact. So, whatever amount you can donate, know that it will make a difference to an irreplaceable historic building or site in our region. 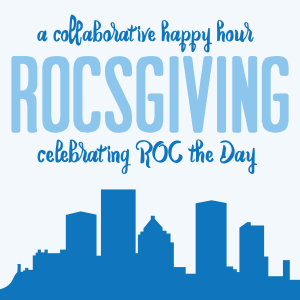 At the end of the day on December 1st, our Young Urban Preservationists invite you to join them, Foodlink, and Gilda’s Club Rochester for ROCsgiving: A Collaborative Happy Hour celebrating ROC the Day. On a day where organizations across the Rochester area are ‘competing’ for donor dollars, we hope this ends the day with a sense of community and collaboration…we are, after all, all working towards the same thing…bettering our community! >>Click here for event details on Facebook. 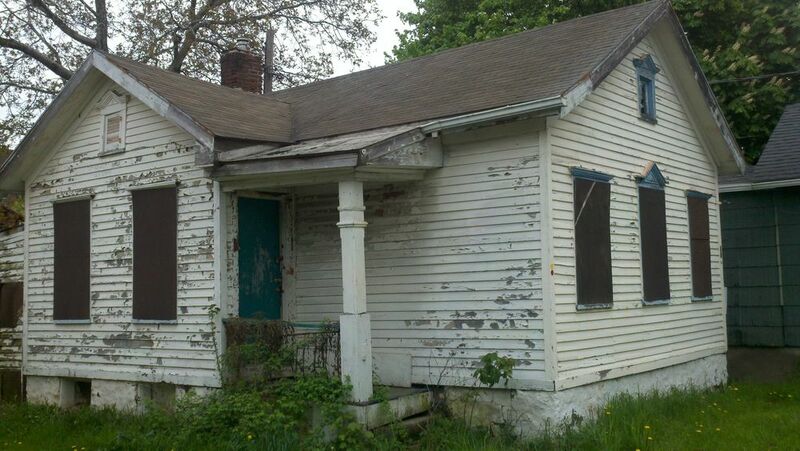 This entry was posted in Projects, Updates and tagged Five to Revive, Preservation Grant Fund, Young Urban Preservationists by Caitlin Meives. Bookmark the permalink.